Though this drama had a strong cast, it failed to impress me. The lead male was lovable, kind, and generous. The lead female sweet, nice, and sincere. It was clear from the first episode that they were perfect for each other. Only problem was, they were both married to jerks. He was married to a manipulative, cruel beauty (whom he insists repeatedly that he fell in love with despite no evidence of such feelings between them). She was married to a self-centered pilot who neglected and disrespected her (they hooked up drunk one night and one unexpected pregnancy later, were married). I am single, dear reader. So I have trouble with a drama like this one. What kind of fools are these people to stay in such horrible, soul crushing relationships for so long? It’s like they went on autopilot, like a horse stuck on a routine circuit with blinders on. Both of these unhappy people just put all their love and energy into their children, so much so that they both disappeared, more or less. They didn’t notice the unhappiness or indifference of their families, their inlaws, their friends and their spouses. It was all about their children – which is great, except their children weren’t wearing blinders. Their children were unhappy and noticed the one person who cared about them most were vulnerable fools wearing blinders – so the children in this show were forced to grow up quickly, to deceive their parents, and play a pawn between them more often than not. Especially the man’s daughter, but also our lead female’s daughter. Both families had already sent their kids to boarding schools in foreign countries. They obsessively worked. They came home to empty, cold houses. They basically lived alone, though under the pretense of marriage. But I didn’t love it. I found myself annoyed 50% of the program. I can mull things over with the best of the introverts, but when it’s time to make a decision – I am like a butcher who will sever one half of a body from the other if need be. So I found myself annoyed and rather bored quite often. 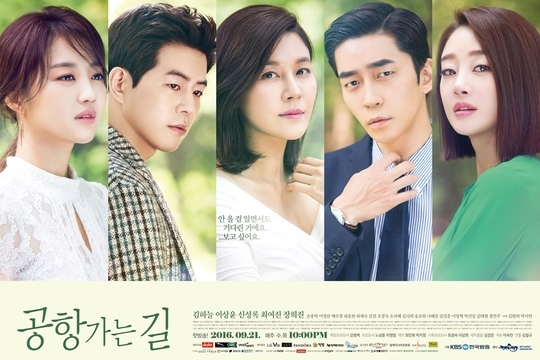 This drama was purely a drama (with the tiniest pinch of mystery just for taste) and I prefer melodramas, because… honestly… I would have loved to watch these people scream and freak out and tear each other to pieces. It would have been deeply satisfying. I would have liked the “evil” spouses to be more evil. I would have liked to take the drama volume and turned it waaaaaay up. Because their domestic, domestic problems were tedious and almost entirely self inflicted. Just rip that band aid, you pussies. Overall Rating – 7/10. Check Your Baggage, People.